Heaven Knows What (mixed bag): Everyone seems to love this story about a homeless drug addict in New York City, but it really didn’t do it for me when I saw it at the New York Film Festival last fall. Actress Arielle Holmes, playing a version of herself, is compelling, but that’s about it. Now playing at Landmark Sunshine. 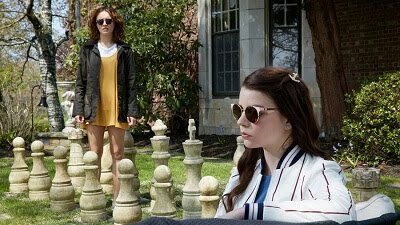 Read my review from NYFF. 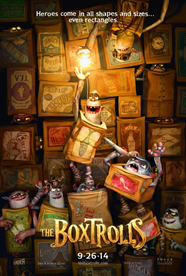 The Boxtrolls (recommended): I enjoyed this Oscar-nominated animated film much more than I expected to. It’s a sweet tale of underground trolls who live in boxes and face persecution from the cheese-loving humans above ground. Fun for all ages, and full of creativity. Inglourious Basterds (highly recommended): Quentin Tarantino’s epic tale of Jewish Nazi hunters during World War II is a fascinatingly multi-faceted film with so many incredible elements and performances. It’s not for the faint of heart or squeamish, but a must-see for anyone else.